The Principality of Seborga celebrates its National Day on the 20th August, and you too can join in the festivities and celebrations with the ICR! The International Club of the Riviera invites you to join them on the now annual pilgrimage to Seborga, to celebrate the Principality’s National Day on Tuesday 20th August. Seborga is a lovely place to visit with a historic restored centre, ensuring that its charms were protected. You will be joining in on the annual festival of Saint Bernard, the town’s patron saint, a colourful cultural event which falls on the 20th, and which is treated as the National Day. 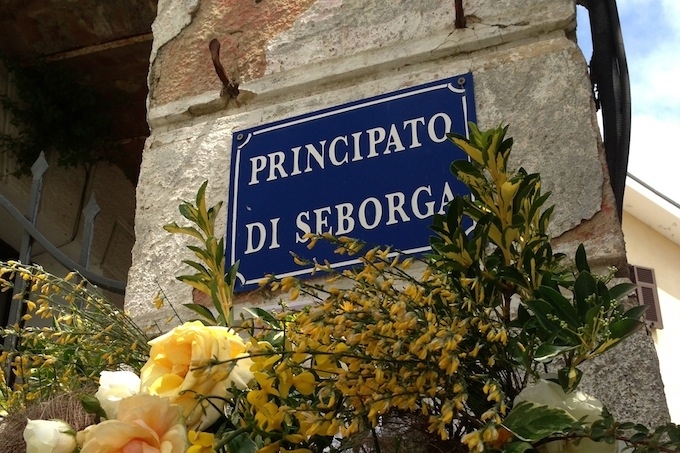 Seborga became a Principality in 1079, has its own currency, the luigino, and an elected Prince, even though the entire area of the state is only 4.91 square kilometres and the total population according to the most recent count is just 312 Seborgans! The reigning Prince, Marcello Menagatto I, was elected in April 2010 following the death of Prince Giorgio Carbone I who died in 2009 after a reign of 46 years. A private, air conditioned, luxury coach has been organised for those who wish to leave their cars at home and enjoy a tipple or two on the trip. The coach will be leaving from the Car Park at Cap 3000 at 5.30pm. You will be able to park your car free of charge and safely in the car park, in the vicinity of the coach. It’s a short but picturesque drive up to Seborga, approximately forty five minutes from the Italian Border. For those who wish to join the event from Monaco, Menton and surrounding areas, a pick up can be arranged at the Monaco Jardin Exotic Car Park. The Coach returns from Seborga around 11.00pm. For further information or to reserve your place on the coach, please visit the Events page of the International Club of the Riviera website.